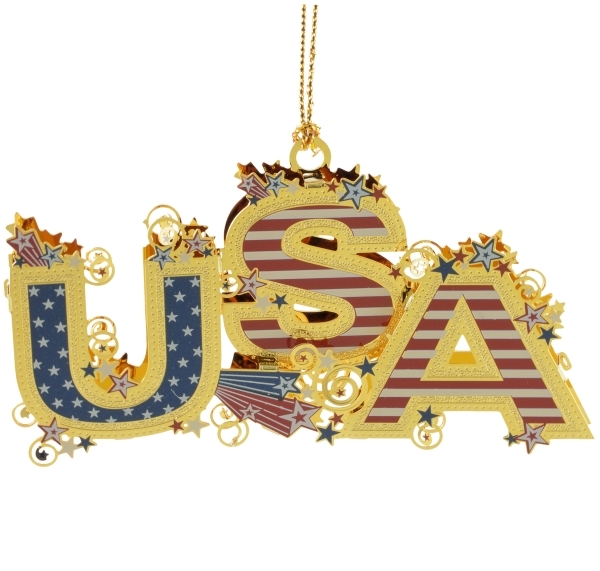 This is such an awesome American ornament and you will love the stars and stripes intertwined to form the letters USA. Display it year round to show your patriotism, not to mention showing off the fine workmanship of Americans. This colorful brass patriotic ornament is 100% made in America.